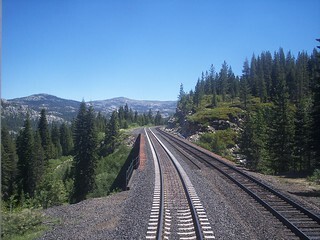 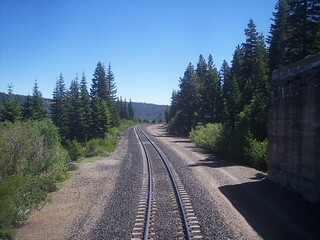 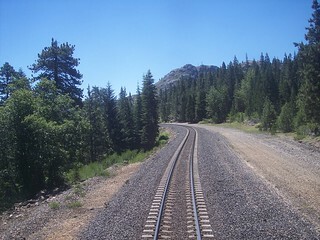 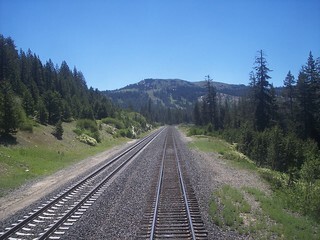 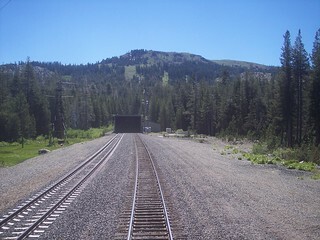 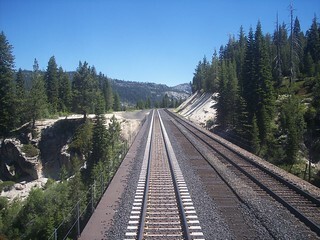 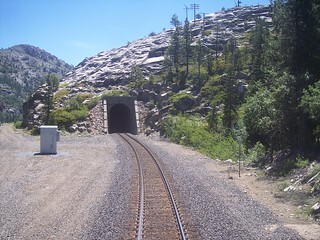 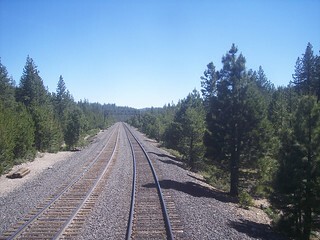 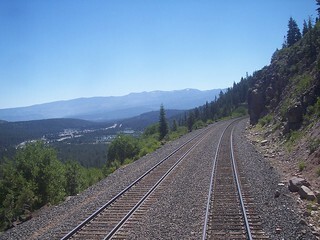 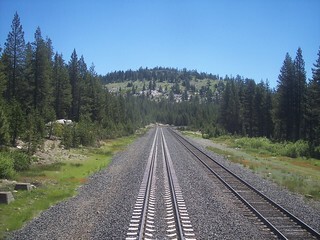 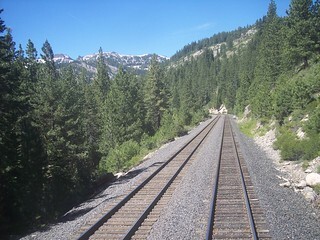 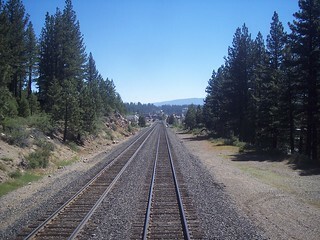 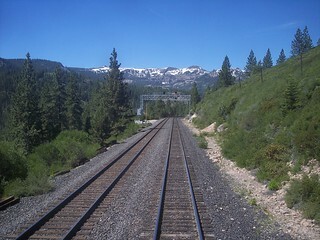 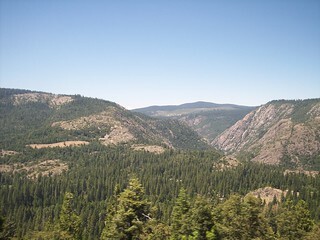 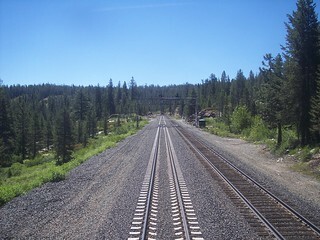 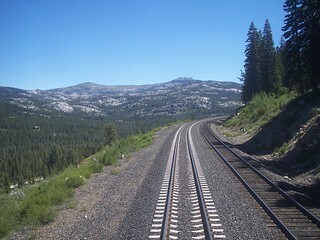 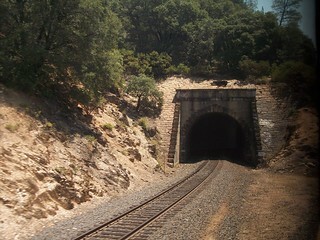 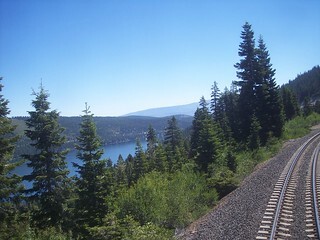 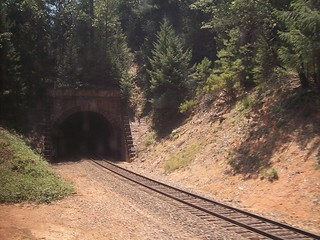 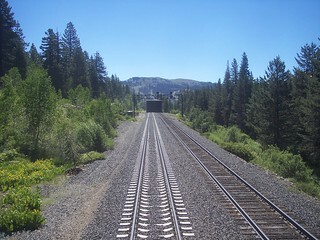 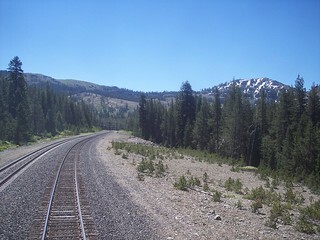 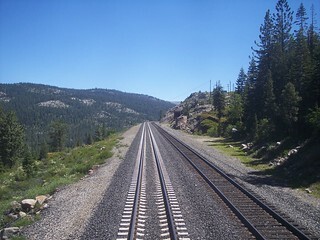 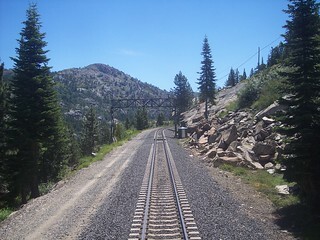 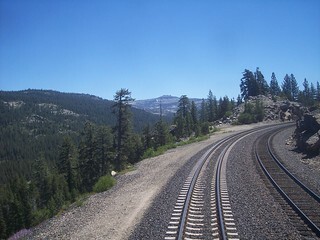 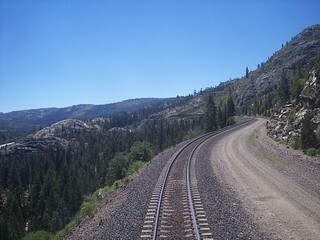 We pass through many tunnels on our route from Colfax to Truckee. 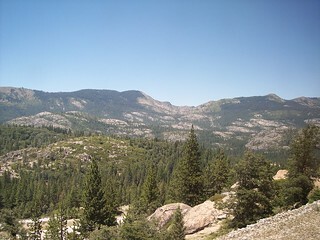 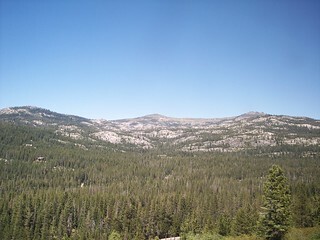 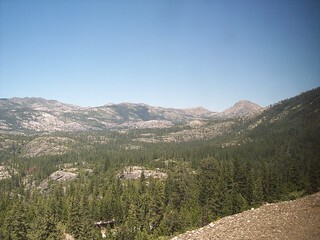 Heading through the Sierra Nevada Mountains. 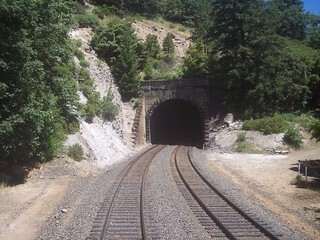 Many tunnel entrances are covered with snow sheds. 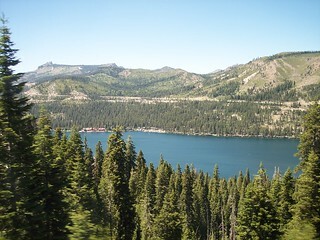 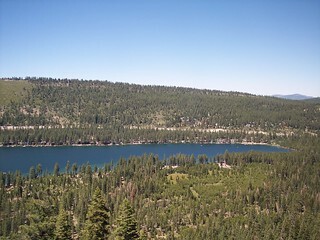 We see Donner Lake below.